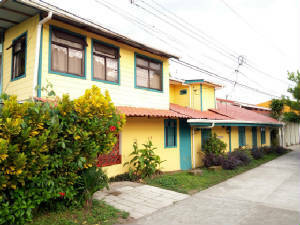 Welcome to our little inn located in Tortuguero Costa Rica! Your hosts Daryl and Luz Denia Loth invite you visit the incredible natural beauty and wildlife of the lush Costa Rican rainforest while staying at their comfortable Bed and Breakfast only a short walk away. Enjoy a delicious typical breakfast from the riverside patio overlooking the rainforest across the river. 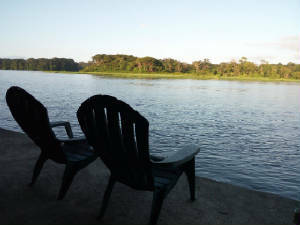 Take a guided river tour in our quiet and comfortable electric-powered skiff and explore the intricate network of natural waterways within the Tortuguero National Park. You may also choose to explore the area on foot to see the seasonal nesting of turtles on the beach or delve into the trails that wind through the shadows of giant rainforest trees. We have been consistently recommended by experienced, professional travel writers from such distinguished publications as: The Lonely Planet, Frommers, Fodors, Moon, Let's Go, Barefoot, Reise Know How, The New Key to Costa Rica etc. We have also won certificates of excellence every year since 2012 from Trip Advisor based on critiques from our guests. Forget the expensive all-inclusive packages with rigid itineraries, fixed menus and crowded boats. 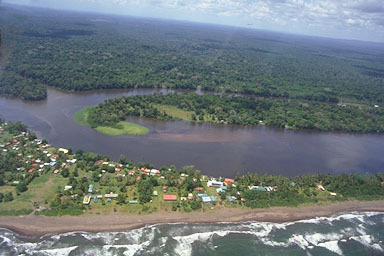 Come experience the real Tortuguero wildlife and culture!